If you’re shopping for cabinet hardware, color and style are obvious places to start (mostly because they’re the first things we all notice). But another important thing to consider is the brand name behind the hardware. That’s the magic of the Top Knobs cabinet hardware brand. Like the name says, it’s become a top choice of designers and homeowners. It’s also earned a place in ProSource Wholesale® showrooms for some very good reasons. Sales volume is one reason for Top Knobs’ rise to fame. Selection is certainly another. With 30 collections and 37 finishes of kitchen and bath decorative hardware and accessories, the company offers one of the industry’s most extensive lines of premium, quality cabinet, drawer, and bath knobs, plus pulls and other hardware. If you’re looking for hardware for kitchen and bath cabinets, you’ll find them in the Top Knobs catalog, in styles ranging from traditional to contemporary. 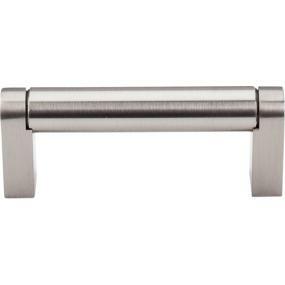 You’ll also find bathroom accessories such as towel rings and tissue hooks. If your search includes something more specialized, such as appliance pulls, back-to-back door pulls or back plates…well, you get the picture. Once again, Top Knobs is the place to look. 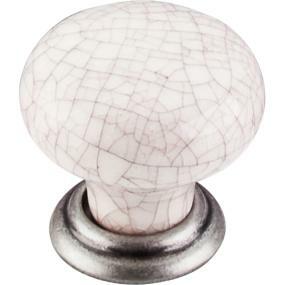 No matter what your taste or budget, you’ll find something to love with Top Knobs, at prices that are easy to like. Top Knobs products are the creations of talented designers and craftsmen, on a mission to prove that cabinet hardware can have the quality look and feel of custom-made, plus a price tag that keeps it within reach. The company’s products even carry a lifetime warranty against defects in materials and craftsmanship, for the original purchaser. As a self-described cabinet hardware “design company,” Top Knobs doesn’t market its products through mass merchandising do-it-yourself stores. The company’s products are available only from design showrooms. That’s because Top Knobs wants customers to get just the right products, and the best way to do that is with the guidance of a showroom designer, like the experts you’ll find at ProSource Wholesale. The advice they offer can make a big difference when it comes to a superior look and feel. Because Top Knobs products aren’t sold everywhere, you won’t have to worry about seeing the hardware you choose in every single kitchen or bath you visit. That bit of exclusivity is one more way you’ll know you made a quality choice. Did Someone Say “Free Samples”? Let’s say you’re browsing the Top Knobs product listing and just have to see (and touch) a couple of pulls for yourself. Or perhaps you saw some knobs you loved in your local showroom, but want to see if the romance continues in your own kitchen. That’s what the Top Knobs free sample program is all about. You can get up to three free samples of knobs or pulls for a small shipping and handling cost. So you can be sure of your choice, without spending hard-earned cash on hardware you might not need. 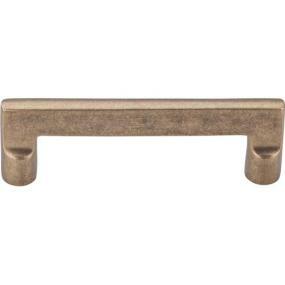 These four reasons and more make Top Knobs a cabinet hardware brand worth considering. Once you do, you’ll understand why this brand is a top choice… and why it might even become your choice.